This helped me so much to understand why I was suffering from particular symptoms. Dr Weekes teaches you to loosen and accept so that your nerves can heal. I've never before tried this with great resolve. She is an excellent encourager. Dr. Weekes is a life-saver. I owe her mine. Dr Claire Weekes was a woman way before her time. I have listened to her tapes records read her books and now listen to her audiobooks which she narrates. Her voice is soothing and her knowledge extensive and she fights for you and teaches you how to heal yourself. Her wisdom could be applied to a variety of different areas including benzo withdrawal and agoraphobia. I have all three and they helped me so much. God bless you Doctor Weekes. THE BEST EVER! !!!! Doctor Weekes understands! She will help you get better! Her technique doesn't require drugs of any kind, it just requires you to practice what she teaches to get better! Helpful with touches of dry humor. 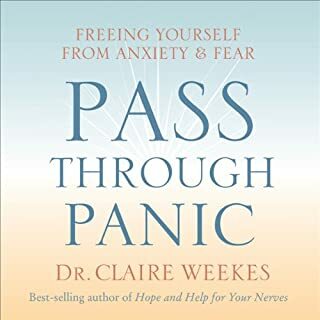 Claire Weekes has much to offer an anxious person who is looking for a way out. I am glad I have it. another tool to help me go through the day. Great help for people struggling with anxiety and panic attacks. You can't go wrong here. 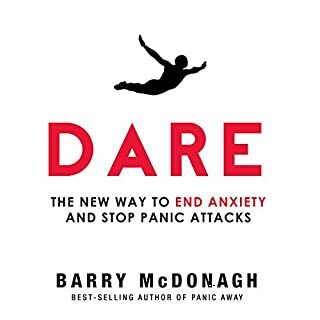 This book is older, but as good as any other material on anxiety recover out there. 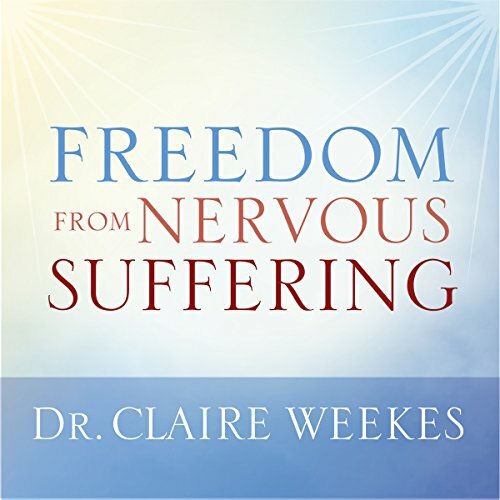 Claire Weekes was an anxiety sufferer and a doctor. She developed her methods from personal experience. I highly recommend this book to anyone who is stressed or anxious. Reading it can save a lot of unnecessary suffering. The best part is simply hearing someone speak the words I could never quite find for myself. There is so much value in receiving affirmation, especially in this context! "YES! THAT'S IT! That's exactly how it feels!" I still like to listen to this again every few months or so. I always pick up something new while reminded of some great Truths I've managed to forget. She expertly balances blunt truth with gentle guidance. Her "tips" are uncommonly gentle, simplified & manageable. Small phrases, Simple words, repeated frequently enough to naturally be memorized without "trying" !!! No post-it notes all around your house. No notecards to tote around. She's also a great narrator - I found her mild accent to be quite endearing. Overall, it feels like a very comfortable conversation with a wise & compassionate advocate. .... your excellent decision to listen to (or read) this book! Solid, factual information on anxiety. Great! Awesome tool to keep on your phone when you need reminders. Hope this helps someone else too! Very good. Claire Weekes is the best help I've ever found. I don't understand why she isn't the main go to for advice. If my doctors had prescribed this ten years ago, I'm sure I wouldn't have travelled down the rabbit hole of anxiety. Try it. you honestly have nothing to lose, but everything to gain. I really hope this review helps at least one of you. if it helps you, remember to pass it on. I am so glad this lady was recommended to me. When I realised she lived 1909-1990 I thought "things will have progressed so much since her time" They haven't! I love this. It makes sense, it's up-to-date, she has so much understanding. Claire Weekes thank you for leaving this legacy! What an incredible woman you were! 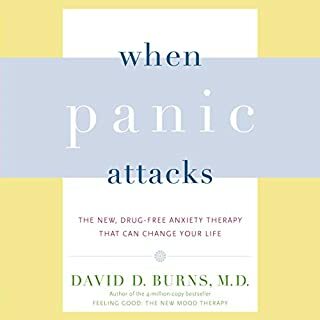 I would certainly recommend this book to any anxious person. Dr. Weekes provides some very simple but effective advice about overcoming anxiety. And it's really easy! 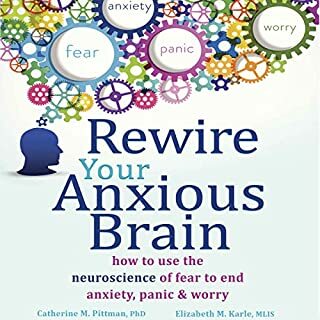 Dr. Weekes explains step - by - step, how to face your fears and thoughts that are driving the anxiety you feel; and explains what they mean, what they are, and how harmless your anxiety actually is. When it's explained this way, it loses its 'fear - factor'. Yes. Once I start listening to her I can't stop. Her voice is soothing and quite hypnotic! Good sound well tried advice-given in a clear no-nonsense manner you just know that Claire Weekes knows what she's talking about. Just listened today, my anxiety has returned after so much progressed needed to motivation to keep going. Seems to have hit the nail on the head just now but time will tell. is helping me slowly recover from anxiety and depression. I found Dr Weekes by accident, following information from another health related website, she is fantastic. The audio is a bit old fashioned, rather a lot of "housewife"'references and a voice a bit like Dame Edna, but don't let that put you off. 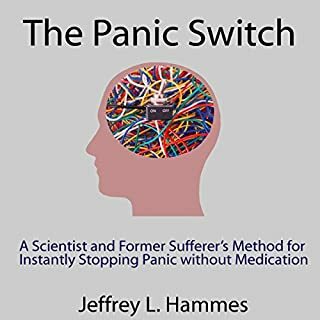 The audio and books are simple, sensible strategies to banish anxiety. 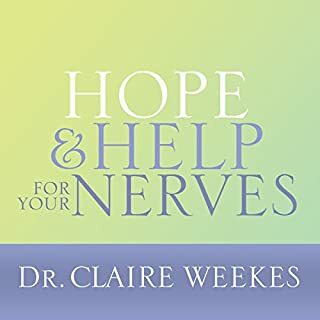 I suffer with agoraphobia and have found Dr Weekes audio books help enormously to get me to move forward. Her methods have been "borrowed" by so many modern anxiety coaches and expensive online cures. Trust Dr Weekes. very good her voice is very soothing a very helpful tool.